*Specifications and ratings subject to change. Ask your contractor about current efficiencies and models available before purchase. An air handler completes your indoor comfort system when matched with an Airtemp® air conditioner or heat pump outdoor unit. Our line of air handlers includes innovative features such as Micro-Channel coil technology to resist corrosion and up to a full inch of insulation for quiet operation. 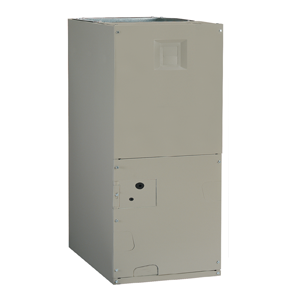 Ask your contractor which Airtemp® air handler is best for your home. Airtemp® coils are engineered to match our air conditioner and heat pump outdoor units, ensuring you get the full performance you’re paying for. Some of our newest coils feature all-aluminum Micro-Channel technology to resist corrosion. 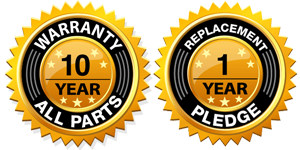 For maximum performance and complete warranty protection, always replace your coil when you replace your outdoor unit. The energy efficiency of a split system is rated and certified by matching the outdoor and indoor sections. The indoor section is typically a furnace and indoor coil, or an air handler, which contains a blower and a coil. If you replace an older air conditioner or heat pump outdoor unit, it is important to also change out your indoor section so the system will perform at the rated efficiency. This also assures system long-lasting reliability. Your contractor can determine the most appropriate matching system for your home and needs.